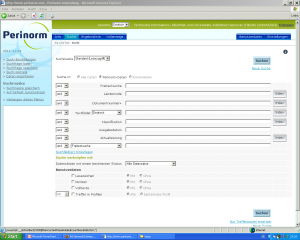 The online-database Perinorm with access to valid DIN-standards and VDI-rules is now available via all webbrowsers from TUHH intranet. The installation of the citrix client is no longer necessary. You are looking for Standards? Perinorm is a database for standards. Data of all German and most international standards is included. Moreover DIN-Normen in full text are availalbe. Are you interested in an introduction to this database. As an individual or may be as a group? In the library or at your office?